Lydia Pence and Cold Blood play Acres of Blues at Redwood Acres on Saturday, Sept. 2. It's the first Saturday of the month so that means it's Arts Alive! in Old Town Eureka around 6 p.m. tonight. 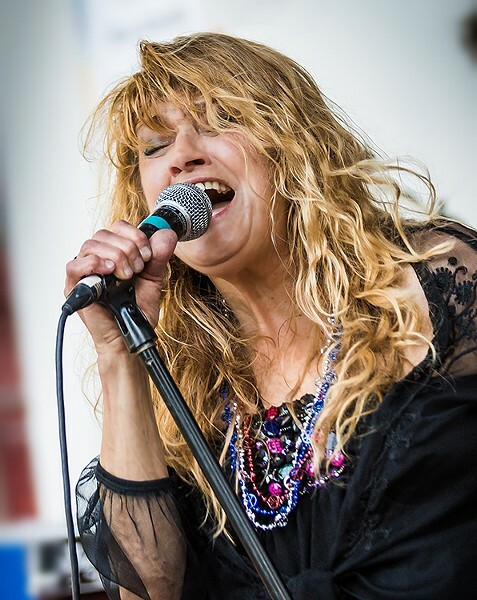 However, starting a bit before the arts get alive, Redwood Acres is hosting Acres of Blues which is a two-day blues festival starting at 9 a.m. this morning with musical acts Laurie Morvan Band, Lydia Pence and Cold Blood, Volkler Strifler, Pearl Alley Band and The Jim Lahman Band. I'm not clear on the order of performance but you've got some serious chops up throughout the day. You'll get in for the day with $60 but if you buy tickets in advance (or for two days) you'll save some money. Local yokels The Yokels return to the Mad River Brewery Tap room at 6 p.m. As always, a free show but feel free to leave some bread for the band. The Humboldt County Fair is in full swing at the fairgrounds in Ferndale and outside of rides and racing, you'll find local blues and R&B favorites ShinBone playing around 6:30 p.m. Comprised of Rob Anderson, Rick DeVol, Robert Franklin and Chas Horn, I'm told "the closer to the bone, the sweeter the meat." So go chow down. If you didn't get your fill of Celtic music last night at Cafe Mokka, you've got another chance tonight at 8 p.m. with a free performance from Good Company at 8 p.m. It's all ages as well, so bring the kiddos along from some hot cocoa. Object Heavy is bringing their funk and grooves to Humboldt Brews at 9:30 p.m. where they'll be playing for $10. Get ready to sweat. A block or so away, you'll find local psychedelic garage rockers White Manna at the Alibi with Shively "dirge punk" band Blackplate starting off around 11 p.m. Just $5 gets you into this mini psych-fest.